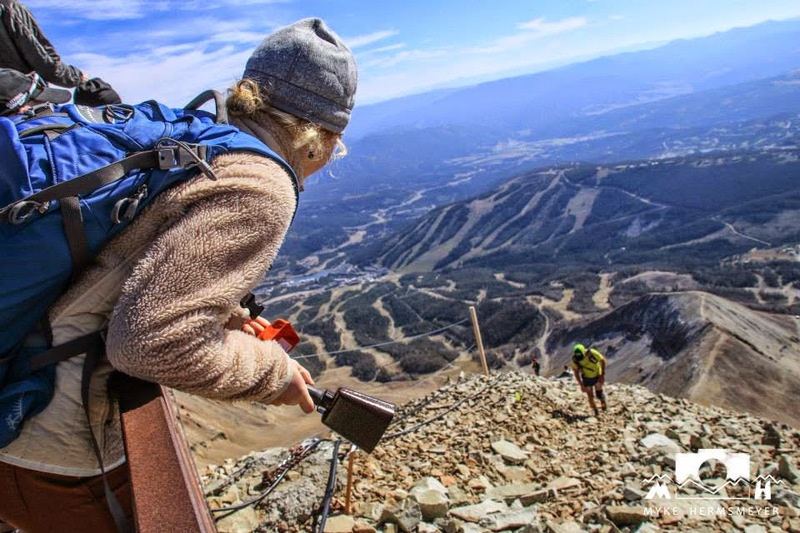 The 2014 Rut 50K at Big Sky Resort drew unparalleled competition due to its designation as the the Skyrunner World Series ultra distance championship. 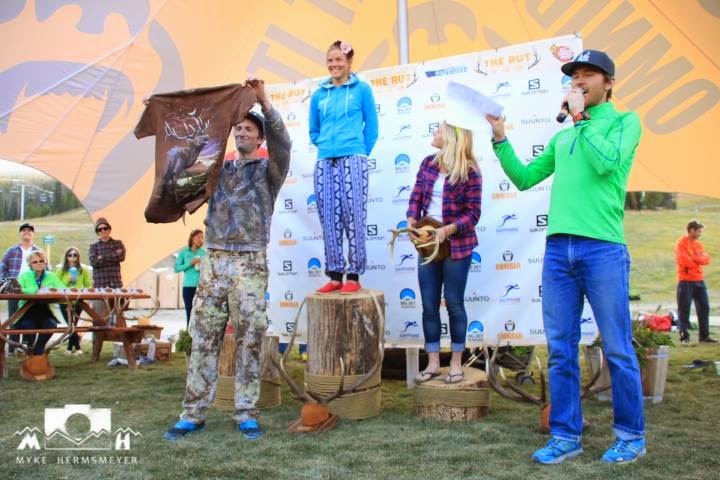 Among the ranks, Salomon superstars Kilian Jornet (Spain), Emelie Forsberg (Sweden), Kasie Enman (USA), Ricky Gates (USA), and Anna Frost (New Zealand) came for their chance at winning the world title. Team Salomon athlete Alessandra Carlini (Italy), came to defend her standing as the leader in the series, as did Manuel Merillas (Spain) who runs for Mammut. 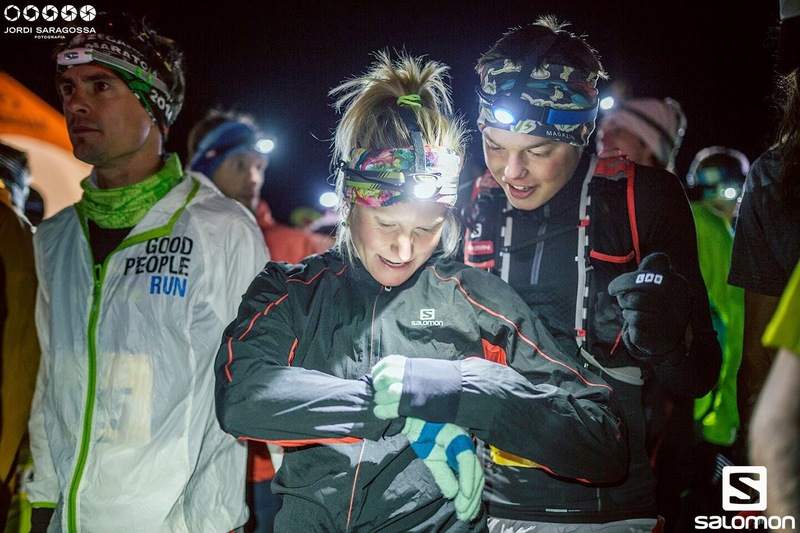 Challengers to Team Salomon included Sage Canaday (USA) and Ellie Greenwood (Canada). 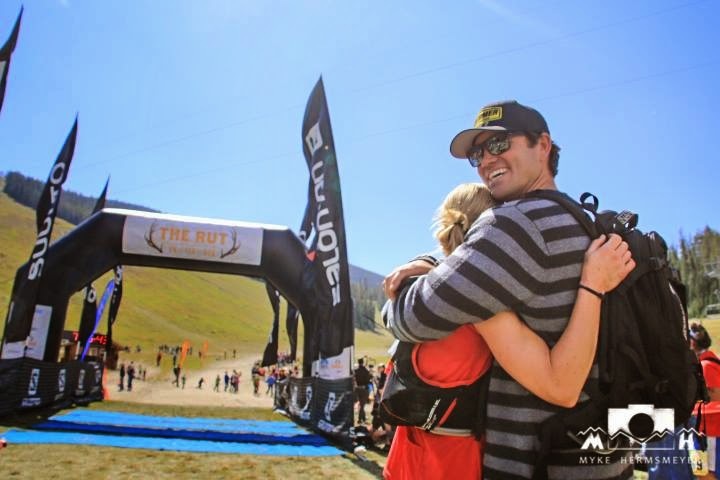 The two stepped up to the mountain challenge earlier this year with podium finishes at the Speedgoat 50k, the only other Skyrunner World Series ultramarathon race in the United States. The extraordinarily deep field was enriched with strong running talent from the Northern Rockies and Colorado. 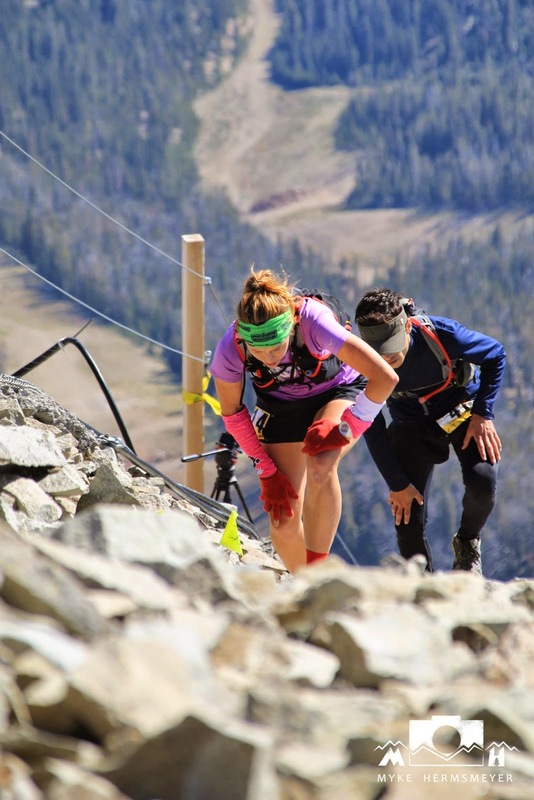 The iRunFar women's and men's previews and Montana Trail Crew pre-race preview highlighted the accomplishments of many well-known athletes registered for the event. On the Monday prior to The Rut, a text from a fellow Missoulian and ultra runner John Hart, read: “You missed Bryon Powell’s radar. That’s a good thing.” Hart and I exchanged several cynical texts in the weeks leading up to the race. Mostly humbled by the mountain, but also already mentally defeated by the competition, we resigned ourselves to simply enjoying the Montana mountain experience with friends. John was recovering from injury, and I was just coming back from nearly three weeks of sickness and deep fatigue, and we both knew superficially the terrain we were up against. But in the spirit of optimism and community, I kept encouraging everyone in Missoula to come out to Big Sky for this world-class event. The prospect of seeing and running with the best athletes in the sport was intoxicating. 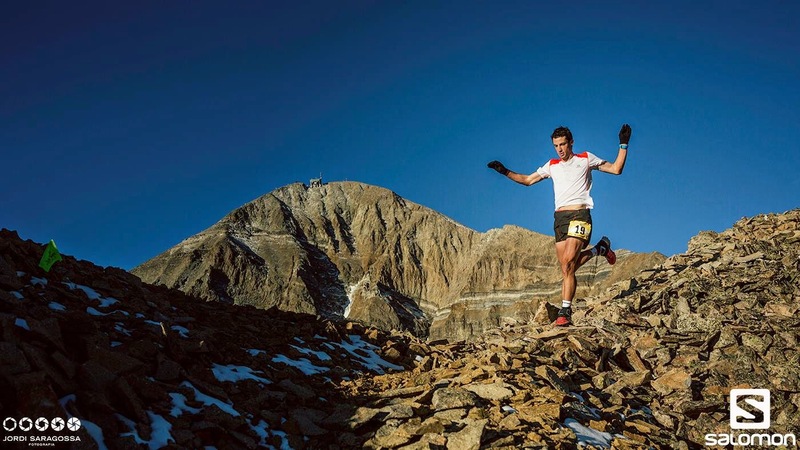 Kilian Jornet ascending Lone Peak during The Rut Vertical Kilometer. 2014 Photo by Myke Hermsmeyer. Bone Crusher during the 2014 Rut VK. Photo by Andrew Pattison. 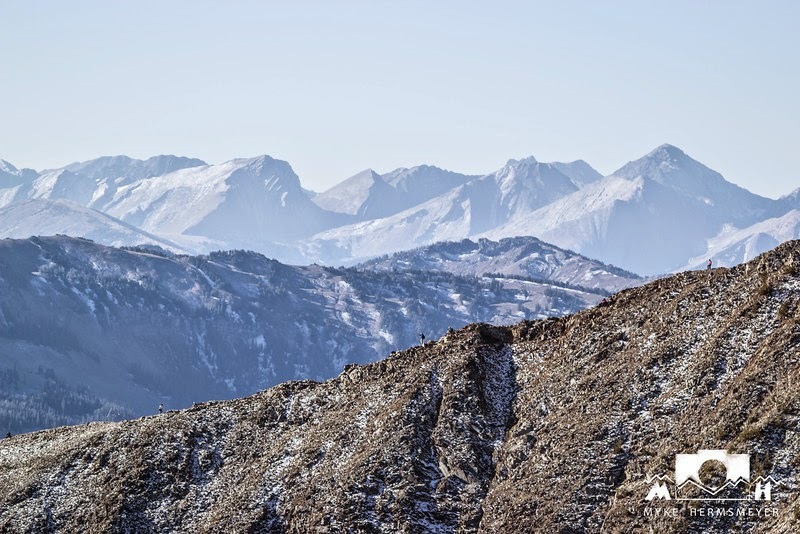 Friday morning, the Vertical Kilometer race took off into the crisp morning air up Lone Peak, recently dusted with snow. Several Montanans had successful performances, including Jeff Rome of Missoula who placed 9th, and Nicole Hunt of Warm Springs, who placed 3rd female. at the Rut 50K start line. Photo: Anthony Krolczyk. Read Jeremy's MTC Race Report here. The next morning, I got up from a long, troubled, sleepless night and went about the normal pre-race routine. My husband Drew, forever optimistic and supportive, helped me get some breakfast and reiterated all the compliments, encouragement, and positive vibes Montana folks were sending my way. At 5:56 we wandered out to the start line and I found myself several feet behind Emelie Forsberg, who I had never seen before in person. Kilian walked up beside me smiling, and I gave him a reflexive pat on the back. But a quick hug from good friend Katie Gibson brought me back, and I looked to my right, reassured by the smiling faces of other Montanans: Anya Gue, John Hart, and Jeff Rome. Soon, the friendly voice of race organizer Anders Brooker of the Runner's Edge was counting down, and we headed uphill into the dark. The first ascent was encouraging. I was surrounded by men I did not know, but the pace was comfortable and the silence was comforting. Shuffling and breathing, with an occasional spurt of running amongst steady hiking. As we headed back downhill on a rocky, fun single-track mountain bike trail, the group spread out. Suddenly, I was running alone except for a guy close on my heels who spoke with a thick accent. Once we hit a road, he passed quickly, and my heart rate normalized. 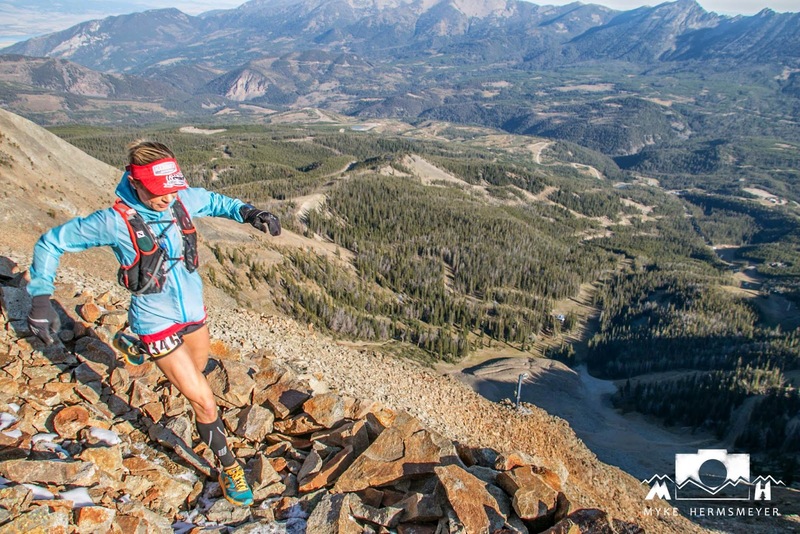 Anna Frost at the start line of the the 2014 Rut 50K. Photo by Jordi Saragossa for Salomon. up to Headwaters Ridge. Photo: @adambehr13 on IG. Author on Headwaters ridge trail. Photo by Myke Hermsmeyer. The first ten miles of the Rut is mostly runnable, rolling terrain around a lake and past a couple lodges on the northeast side of the mountain. The early sun was shining on the Spanish Peaks of the Gallatin Range to the northeast, and the trail wound gently through the forest. I became acutely grateful for the opportunity just to participate. 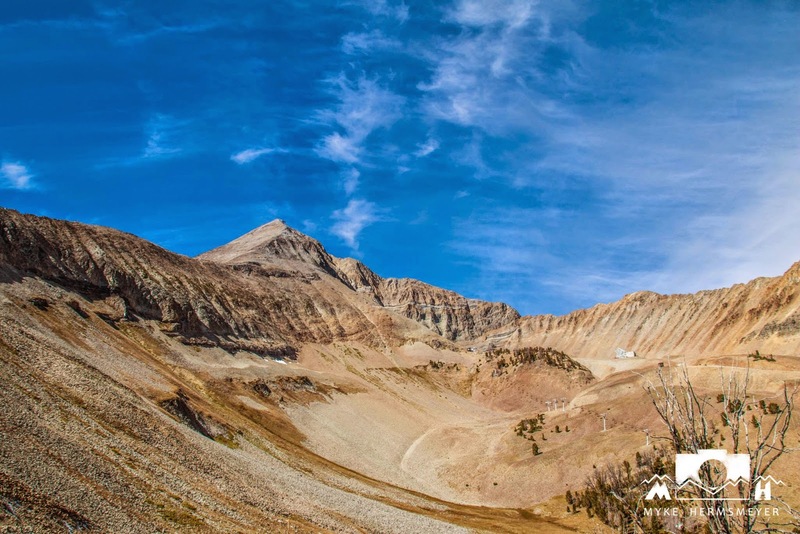 In tenth place, I was far from the main competition and happy to save everything for the real challenge: the climbs up Headwaters ridge and Lone Peak. Emelie, on the other hand, charged hard from the start. Climbing up to Headwaters ridge, the route crosses a steep scree field, heads straight up the gravelly, rocky shoulder of a north facing cirque, and descends down a short chute (protected with handline) before leveling out abruptly on the narrow trail edging cliffs atop the decomposing ridge. At the start of the traverse, a volunteer advised us to stay below the flagging and instantly I recognized the voice, exclaiming, "Is that Geoff Roes? 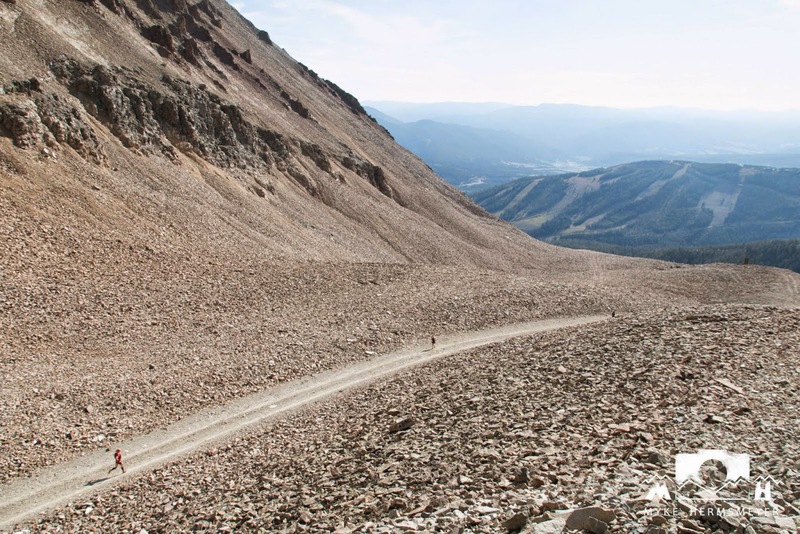 !” Behind me, another Missoulian chided: “Yeah, and it probably took him less time to mark the course that it is taking us to run it!” I laughed and agreed, knowing the legendary speed of Roes in the mountains. 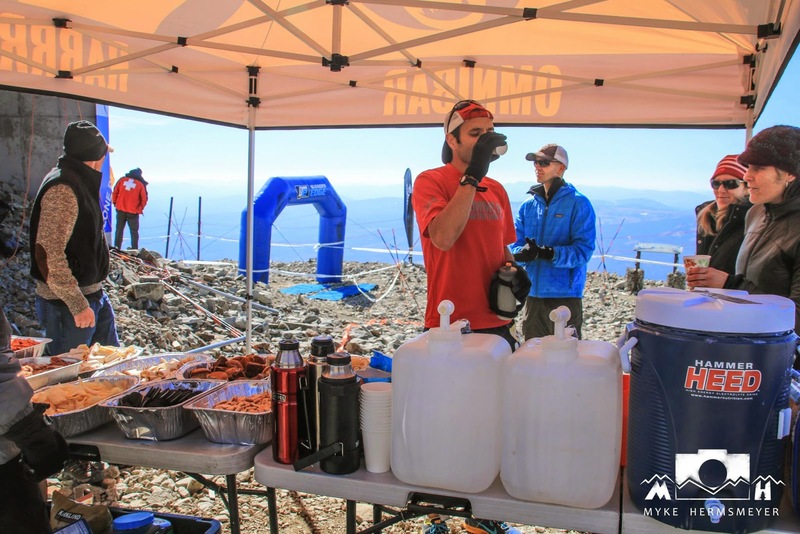 Geoff called out: “That is NOT true!” Truthfully, race directors Mike Wolfe and Mike Foote worked endlessly in the days prior to the event, garnering support from Roes, Frosty, and others, to make sure every minute detail was carefully addressed. Their efforts were beyond commendable. So we cheered for Roes, and headed up the ridge, descending some exciting technical pieces before hitting the road to Tram Dock. On the descent, I was startled by a runner who pulled out a camera on an extendable pole and filmed me slide down an icy grass slope. He informed me cheerfully that it was for Sprout Films, an independent crew creating a fantastic, two-part series Experience the Rut Part 1 and Experience the Rut Part 2 for Epic Montana YouTube channel. Lone Peak, the road to Tram Dock (center) and Headwaters Ridge (right). Photo: Myke Hermsmeyer. from Sage Canaday. Photo: Andrew Pattison. We headed up toward Tram Dock aid station, and I was shocked to see Kasie Enman coming down the hill. At first, I worried for her wondering if she had fallen behind the leaders. But then came Anna Frost, and I cheered loudly: “FROSTY! ", as we exchanged a high-five. 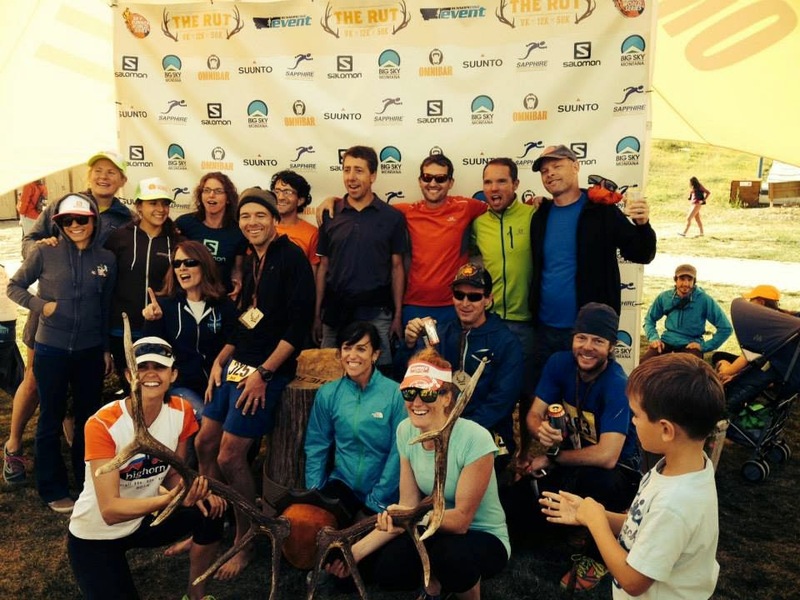 Then, came a group of ladies including Hillary Allen (who placed 4th at the 2014 Speedgoat) and Ellie Greenwood. Again I cheered, but Ellie just glanced at me with a furrowed brow and kept rolling, (surprising me as Ellie is always extremely kind and personable). Finally, I realized I was not far from girls 4-6. I passed Alessandra Carlini on the climb, pulling into 7th place behind Ellie. Getting close to Tram Dock, photographer Myke Hermsmeyer from Whitefish called out “You’re KILLING it!” and I replied: “THIS IS SO AWESOME!” Steve Brown—one of Run Wild Missoula’s male trail runners of the year—was at the aid station and calmly asked if I had a drop bag while a bunch of Montana folks encouraged me on. “Nope, thanks guys!” and I spun around heading down after Ellie. I told someone: “The race just started,” but instead it felt more natural to take it easy, waiting to use my legs for the next climb up Lone Peak. Running back down from Tram Dock: a chance to cheer for each other. Photo by Myke Hermsmeyer. Hillary Allen heading up bone crusher. Ascending up Bone Crusher trail toward Lone Peak, the trail is relatively exposed in places, and the altitude quickly became apparent. The ridge was littered with photographers tricked out with hefty lenses and fluffy coats. For the first time, I had to focus hard on graceful forward progress. The ridges were by far the most fun part of the Rut course, however. Exchanging some friendly banter with several guys as we soldiered on, I kept emphasizing “This is the fun part!” while pushing hard on my legs. Nearing the summit, the cheers and cowbells of onlookers made me laugh as I exchanged another quick fiver with Missoulian Erin Williams. Hillary Allen was in aid as I neared, and the pressure to move quickly through my only water fill up intensified the clumsiness of the process. Frustrated by the time lost, but comforted by the volunteers working calmly and selflessly, I told myself to keep it together and worked my way steadily down toward Dakota Lift and the next climb up Andesite. Ascent up Lone Peak. Photo by Andrew Pattison. 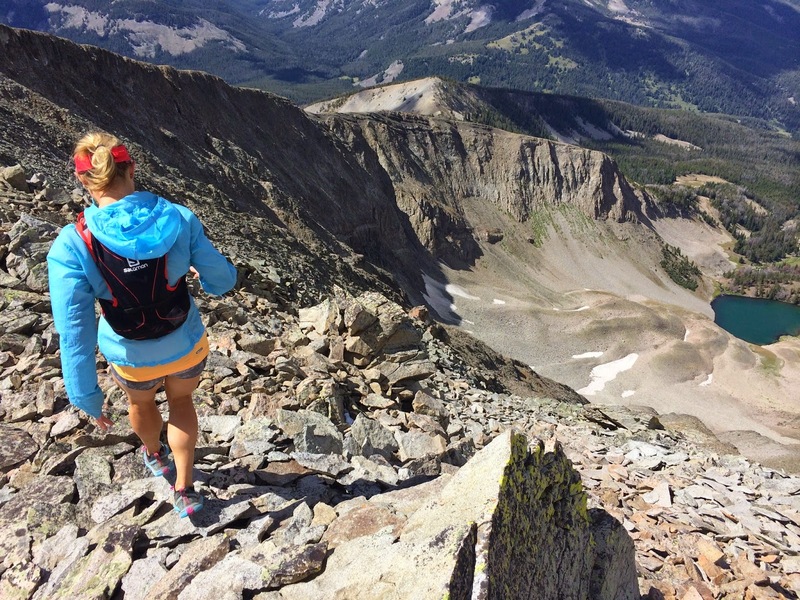 Erin Williams cheers racers from Lone Peak summit. Photo by Myke Hermsmeyer. Jimmy Grant at Lone Peak aid station. Photo by Myke Hermsmeyer. Lone Peak during a training run. Photo by Andrew Pattison. The descent is much more challenging than the climb, and takes more focus than I could muster given my response to high altitude at 11,000 feet. My plan to push the descent disintegrated. Not long after I started down off Lone Peak, Kilian Jornet finished the race in a time of 5:09:31—absolutely unreal—which he later attributed to the mountain lacking the “extreme” technical terrain of other mountain races he is familiar with. and the smiling faces of Montana. Photo: Andrew Pattison. Finally, at the bottom of the loose scree fields, I told myself to race. Ten miles to go, and I had no idea how I fared in the “race” that seemed too far out of reach to worry about. Drew and his smokejumper buddy, runner Tory Kendrick appeared again on Moose Tracks trail, whooping and hollering with familiar smokejumper 'can-do' undertones, and said the next woman was "only two minutes" ahead. My charisma was fading as the mid-day sun grew more intense, but seeing the guys made me want to stay strong. The climb up to Andesite peak at 26 miles includes some single track so steep and slicked off, ropes were placed for assistance. My legs started to cramp slightly as I reached my mental low at the top of this final significant climb. I took several Hammer Endurolytes and worked hard to keep my stride efficient. In the last mile, after being teased by a few runnable miles of undulating single-track, I finally caught up to one female: Rebecca Much of Colorado. I waited until I could pass decisively and took the chance, exchanging words of encouragement. Rebecca and I ran Standhope 60k together in August so she looked vaguely familiar in the mix. and Ellie Greenwood catching up post-race. Using all my leftovers to get up a final climb, I ran scared to the finish line in 7:06, in sixth place behind: Emelie Forsberg (6:32), Kasie Enman (6:38), Anna Frost (6:49), Ellie Greenwood (6:57), and Hillary Allen (7:00). Rebecca Much came in shortly thereafter in 7:10. The cheering crowd and friendly faces at the finish line brought tears to my eyes: a first for me. The combination of excitement over the international elite athletes and the support from local Montana athletes was overwhelming. After hugs from the local guys who killed it: Jeremy Wolf, Jeff Rome, and John Fitzgerald, I was ushered over to another camera for a quick interview with Ultra Sports Live TV about my lack of lifetime running experience. Talking to Bree Lambert about my lack of running experience. Montana folks from all over the state both ran and volunteered to make this event possible. The Missoula crowd blew my mind away with the superb performances and unmatched camaraderie. Race director, Mike Foote, and Anders Brooker of Missoula's Runner’s Edge, took time out of their busy day to come congratulate runners, making the event feel more like a hometown celebration than the aftermath of a hunt through unfamiliar territory. Together we celebrated the finishes and hard work of every athlete and enjoyed the awards ceremony, where Emelie Forsberg and Kilian Jornet were named the 2014 Sky Runner Ultramathon World Champions. Huge thanks to the event sponsors: Salomon, Big Sky Montana, Sapphire Physical Therapy, Omnibar, Suunto, Black Coffee Roasting Company, Bozeman Running Company, Garlington, Lohn & Robinson, Fitsok, Sprout Films, Hammer Nutrition, ZillaState, and Big Sky Brewing Company. Please continue to give these great companies your business and thanks for making the event possible! Race Directors Mike Wolfe (left) and Mike Foote awarding the true grand prize: the Exalted Ruler shirt, to Emelie Forsberg. Team Salomon making the most of the after party. Photo: Jordi Saragossa.